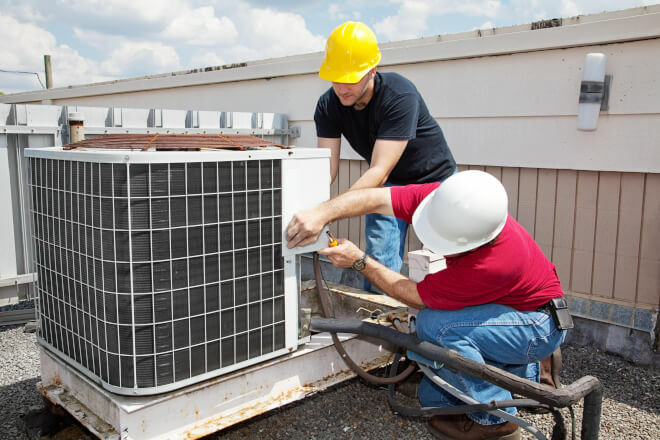 Home Maintenance What’s Restricting Your Maintenance Team’s Efficiency? You’ve implemented maintenance plans, the work is correctly organised, the stock is all there… why isn’t your maintenance team more efficient? When you’re constantly dealing with numbers and machines, it can be easy to forget the human aspect of your team. Here are 5 factors that might be preventing your team from becoming more efficient. Overtime, random days off, long work hours, orders piling up, pressure to meet deadlines… sound familiar? Working in maintenance management is not for the fainthearted. The real problems come when your team is so overworked that they begin to show signs of burnout. When long days are the rule and not the exception, they stop being productive! Here are some tips to reduce stress in facility management and make your maintenance team more efficient. A lack of communication and transparency might be one of the reasons why your maintenance team isn’t more efficient. If you’re working with a tight budget and you have to make cuts, modify work orders or implement other significant changes, explain this to your team. Letting the team know what’s going on rather than changing up routines for no apparent reason helps to improve team spirit, motivates them to work towards common goals and improves the workplace environment. In order words, you get a more efficient maintenance team! When an employee takes time to give you feedback and suggestions, not paying attention to them is one of the worst mistakes in facility management. Not only will it cause frustration within your team, it will also demotivate them to try their luck again in the future. Even if everything seems to be going well, it’s your team who is testing and using the equipment every day, not you. They will be the first to report failures and potential breakdowns. This also makes them the best people to suggest improvements, which is why you should listen! One of the reasons your maintenance team is less efficient than you’d like is because you may not have access to a detailed and user-friendly CMMS. Reporting malfunctions should be accessible to all; scheduling tasks should be fast and concise. If the application you’re using is not intuitive and often fails, the response time will be slow and failures will be left unsolved. The cliché “a good workman never blames his tools” is true. And know that nobody wants to hear “it’s the system’s fault” or “the system is down”. But sometimes the system really is to blame! We all need to grow personally and professionally. If someone has been working with you for years and they’re performing the same tasks they did on day 1, you can’t blame them for feeling trapped and demotivated. On the contrary, if you provide free courses and promote opportunities for career growth, your employees will feel like they are moving forward. This also gives them more job security, which makes your employees feel more confident in their role. Previous articleAn Exclusive Interview with Santa Claus: How did Infraspeak help his Factory? Next articleShould You Repair or Replace That Piece of Equipment?